Ever wondered how PEXA works? Unless you've been living under a rock, you've probably heard of online property transaction system PEXA. It stands for Property Exchange Australia and provides a fast, convenient and streamlined way to complete the exchange of property. So how does PEXA work? To answer that question, it's important to acknowledge the rise of online conveyancing. If you're buying or selling property, you can now complete much of the process of transferring ownership online through a platform like Conveyancing.com. Online conveyancing enables faster reviews of legal and fiscal documents and costs substantially less than traditional paper-based services. PEXA was created in response to the growing preference for online settlement and aims to support the property industry as it moves towards a completely digital conveyancing process in the future. Want to get your conveyancing done in as little as 48 hours? At Conveyancing.com, our property lawyers can ensure a faster and more convenient conveyancing process. Contact us today. 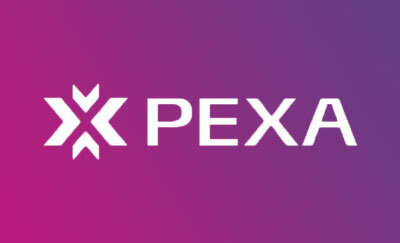 In 2010, the Council of Australian Governments (COAG) formed PEXA as part of its initiative to provide a national e-conveyancing platform for the Australian property industry. After working closely with the property industry to build a safe and robust system, PEXA entered development in 2011 and processed its first full property settlement in partnership with the Commonwealth Bank in 2014. It is currently live in five Australian states and has begun extending full functionality - meaning support for new mortgages, discharges, refinances, notices, caveats and transfers - on a state-by-state basis. PEXA introduced full digital property transfer services in NSW in November 2017 and rolled out similar services in Victoria in February 2018. Currently, PEXA is Australia's largest and fastest growing electronic conveyancing business. It boasts an extensive network of Australian property lawyers, conveyancers and financial institutions. More than 550,000 digital transactions worth almost $70 billion have been completed through its online system. Once two parties enter into a contract for the sale of real estate, an online workspace is created in PEXA where all stakeholders can share and sign relevant information and related documentation. PEXA doesn't do away with conveyancing agents and other third parties, it simply gives them a single unified platform on which to carry out all the steps of conveyancing online. Your chosen conveyancer or lawyer will represent you online in PEXA, making the entire process of property exchange paperless. Land registry documents and a settlement schedule can be created and shared with all parties. Information is pre-populated in PEXA's system and verified against the land registry system, which helps reduce the risk of manual error and provides certainty that the settlement will occur as scheduled. Money is transferred electronically within moments of settlement occurring, and all stakeholders enjoy maximum transparency throughout the process. There is no need to physically obtain and sign any paper transfer documents with PEXA, and it also eliminates the need for bank cheques, saving you time and money. PEXA has a flat fee for service structure, whereby members are charged on successful transactions. PEXA makes the experience of settling faster and easier for conveyancing lawyers as well as property investors. At Conveyancing.com, it enables us to schedule a settlement date for our clients much earlier than would otherwise be possible in traditional paper-based conveyancing. With PEXA, we can transact and sign documents digitally on your behalf, and there's no need for anyone to attend a physical settlement. You can be sure that the documents will be accepted for lodgement on settlement thanks to PEXA’s in-built checking system, and the system also pre-populates some line items for your convenience such as stamp duty, lodgement fees and PEXA fees. PEXA's online workspace fast-tracks the process of arranging your settlement date and time by eliminating the need for a lengthy phone call to your lender and makes it a cinch to change or rebook dates if required. The beauty of PEXA is that while conveyancers still receive and exchange the contract of sale in a paper format, they can create the transfer document online. By digitally signing property transfer and other registry documents, PEXA can save you a significant amount of time and stress around settlement. Online conveyancing is already a proven way to fast-track and streamline the often-protracted conveyancing process. PEXA puts the cherry on the cake. Online conveyancing is growing more and more popular, and PEXA's success can be seen as a direct response to the changing nature of the property industry. With online conveyancing, every step of the purchase or sale is recorded online, which means it's as simple as logging in from your computer or smartphone to check if things are moving forward. PEXA brings even more efficiency and security to the processing of such transactions. It provides stakeholders with more flexibility via password-verified access to an online workspace and enables an equal footing for all involved. To chat about PEXA and learn more about how we use the platform, contact our legal team at Conveyancing.com or request a quote. Understanding conveyancing costs when buying or selling a property is crucial. Here's how to shop around, compare quotes and see which type of conveyancer is the best fit for you.